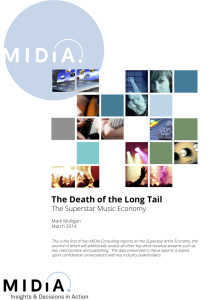 Interesting thoughts about the ‘The Superstar Artist Economy’. What if this was your industry? Or will be in 5 or 10 years? What could you learn for your company or brand from these findings? How will we live at home in the near future? There is a new report by PSFK about trends that are directly influencing the future of urban life. Future of Home Living. This report looks at key trends that are shaping the living experience of tomorrow (most of them are already there today). It describes how design and connected technology are driving adaptive living and an on-demand lifestyle, and making home a place of personal equilibrium. In a summary presentation all key trends that are directly influencing the future of urban life are presented. Each trend has been brought to life through a mix of products and services, many of which you could purchase and use today. The 75 page PDF costs $150.